Gordon is the Chair of the International Consortium of Research Staff Association (ICoRSA), and his career is as a senior research fellow in Beaufort Research, Ireland, specialising in ocean energy economics. 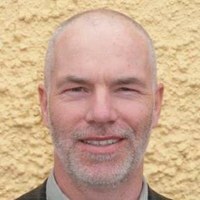 Gordon is also the international officer of the Irish Research Staff Association (IRSA) and the Vice Chair of Cork University branch, UCC, of the association, UCCRSA. Gordon was the founding member of ICoRSA and was the main organiser of the inaugural event at ESOF 2012 in Dublin.